The FTP Publishing Service for IIS 7.0 allows Web content creators to publish content more easily and securely to IIS 7.0 Web servers using modern Internet publishing standards. New features like SSL-based authentication and data transfer protect sensitive data while on the network. A new, membership-based authentication system allows for custom user accounts to be created and used for the FTP server. Built as an Extension of IIS 7.0, the new FTP service offers Web administrators and hosters an integrated management and configuration experience for FTP and Web sites through IIS Manager. This deep level of integration allows administrators to use a single set of administration tools and scripts for managing both Web and FTP configuration. Publish securely and easily using Internet standards. 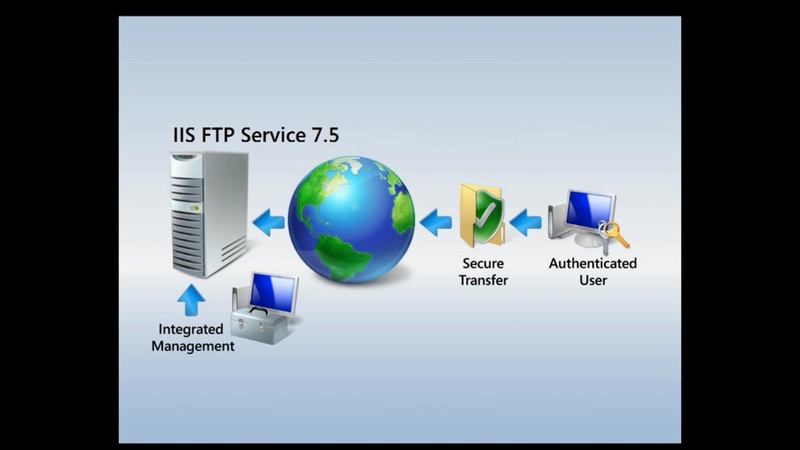 FTP for IIS 7.0 integrates seamlessly with the IIS 7.0 Manager to enable secure publishing of content using FTP over SSL (FTPS), with support for Internet standards such as UTF8 and IPv6. Simplify content hosting through integrated management of Web and FTP sites. FTP for IIS 7.0 allows users to enable FTP for an existing Web site, instead of creating separate FTP and Web sites to host the same content. FTP for IIS 7.0 also allows hosting multiple FTP sites on the same IP address through virtual host name support. Improve security and auditing through new authentication providers and enhanced logging. FTP for IIS 7.0 removes the need to create Windows user accounts on the server to enable FTP publishing by allowing authentication using IIS Manager users and .NET Membership. FTP for IIS 7.0 also provides enhanced logging that records all FTP traffic to help track FTP activity and diagnose potential issues. Improved logging support with unique tracking for FTP sessions, FTP sub-statuses, additional detail fields in FTP logs, and much more. Extensibility support that enables extending the built-in functionality that ships with the FTP service. What's New for Microsoft and FTP?